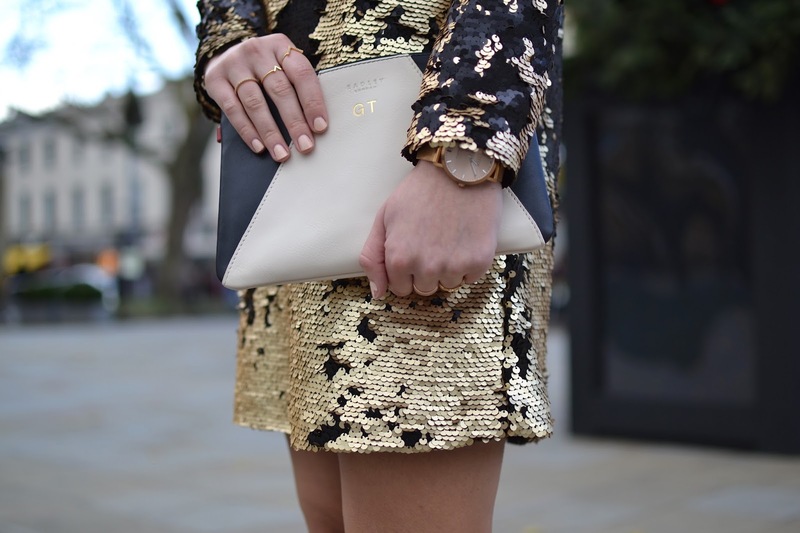 This dress hands down epitomises the party season and who doesn't love a bit of sparkle this time of year. What I particularly love about it, is the relaxed fit taking this sparkly number down a notch or two. I tend to shy away from bodycon dresses so this certainly ticks all the right boxes for me and makes it a bit more chic. Worn here with a statement caged heel from Public Desire, this dress is perfect for a Christmas work party you may have coming up or New Years Eve. As this dress is a statement in it's own right I have kept accessories to a minimum with a few rings and this gorgeous personalised Radley clutch bag. Hands down I couldn't love this Mink Pink number from Urban Outfitters more and will definitely be getting my wear out of it over the coming weeks. such a gorgeous dress:) and your shoes are amazing! You look incredibleeee! I LOVE that dress so much, srsly perfect for crimbo!